We are so excited to have our photo shoot featured in Style Me Pretty’s, Little Black Book highlighting our floral designs and other local New Orleans wedding specialists! 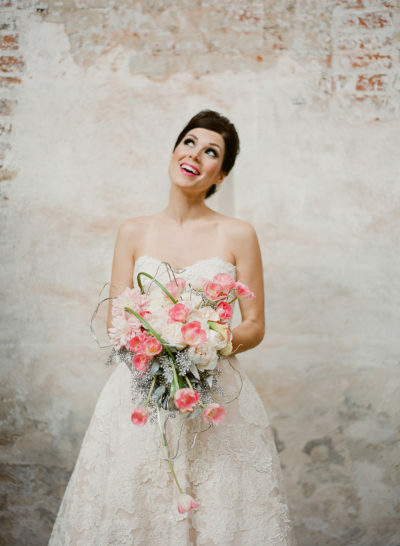 Published on Christmas Eve 2013, this styled shoot features upcoming wedding trends in bouquets, photography, cakes, & videography from select New Orleans vendors. We are proud to be part of this creative shoot. A big thanks to Sapphire Events for including us! A modern cascading bridal bouquet, designed for spring 2014 with a holiday flare in shades of pastel pink and ivory. Watch the video for some behind the scenes footage of this shoot at Tomas Bistro by Pure 7 Films.